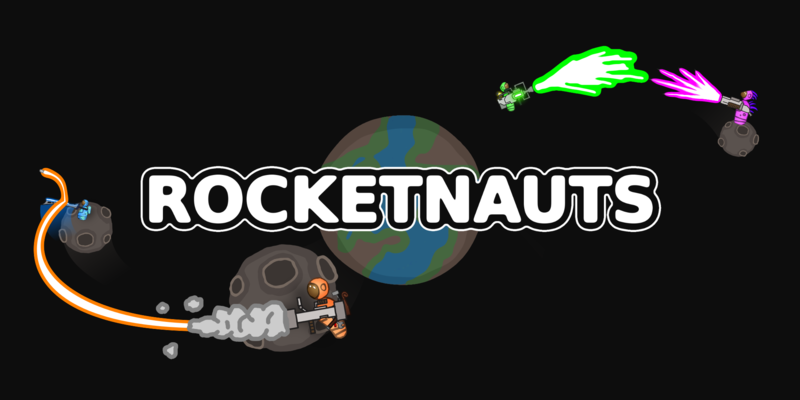 Navigate your way from planet to planet with rocket jumps, as you blast other astronauts with either rockets, scatter gun shots, jet engine flames, or slice them up with a space cleaver. 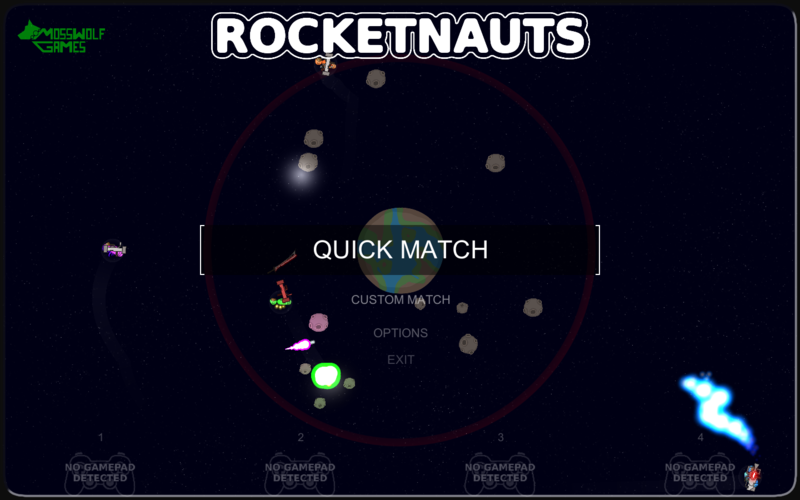 Rocketnauts is a local multiplayer game designed for 1 to 4 players. 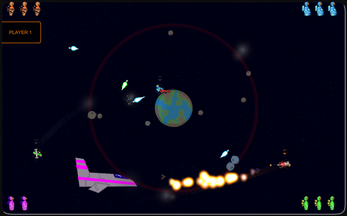 Verse your friends, or verse the AI in a fight to see who outlasts the other. 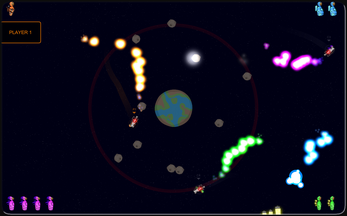 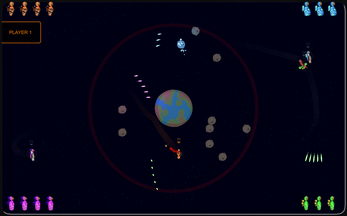 Each weapon in Rocketnauts is designed to have a different navigation style. 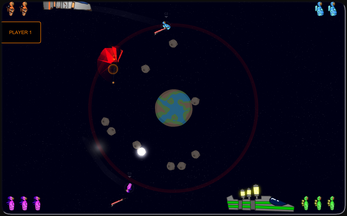 The rocket launcher uses rocket jumps, the scatter gun uses its recoil to propel you, the jet engine gives a steady thrust, and the space cleaver lunges you forward toward your opponents. 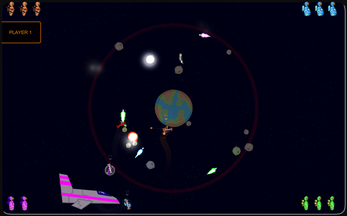 * Note: While the game can use mouse controls, a game pad is preferred (and needed if you want to play local multiplayer with friends). Starts all players with 3 lives. 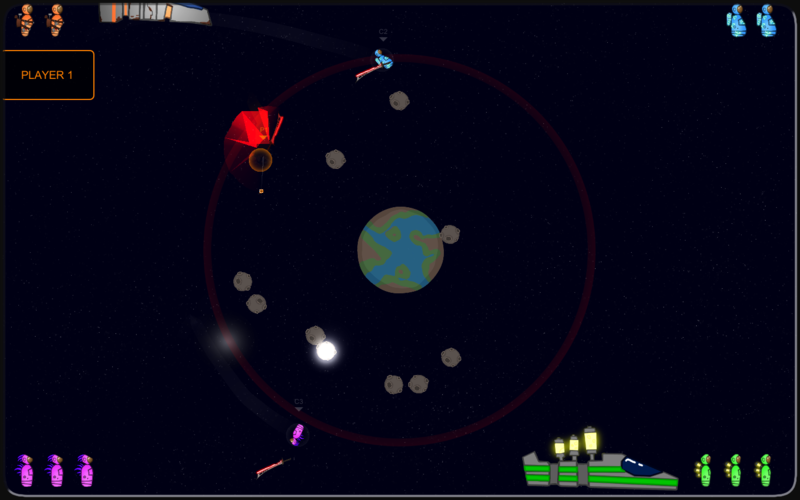 All players have a rocket launcher. 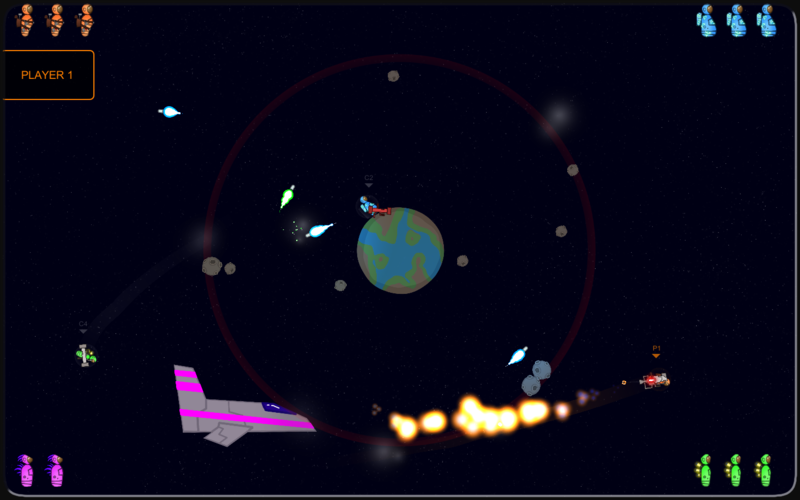 Weapon pickups will be available. 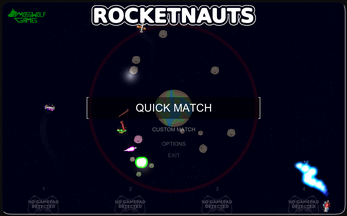 Set the amount of lives each Rocketnaut has. Set the main weapon of each Rocketnaut. 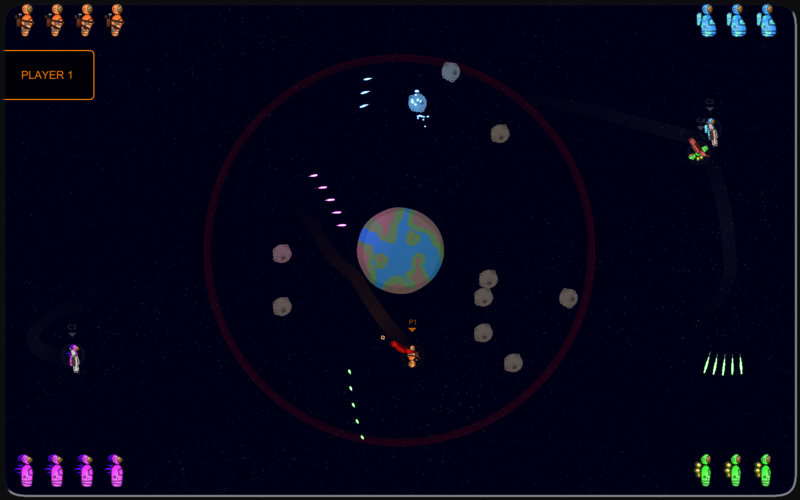 Set whether weapon pickups will spawn or not.